From this month’s Degustabox, I was inspired by the chocolate and coco chips! 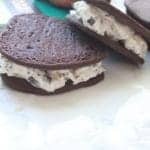 After making my pistachio ice cream sandwiches, I knew I wanted to do it again!! 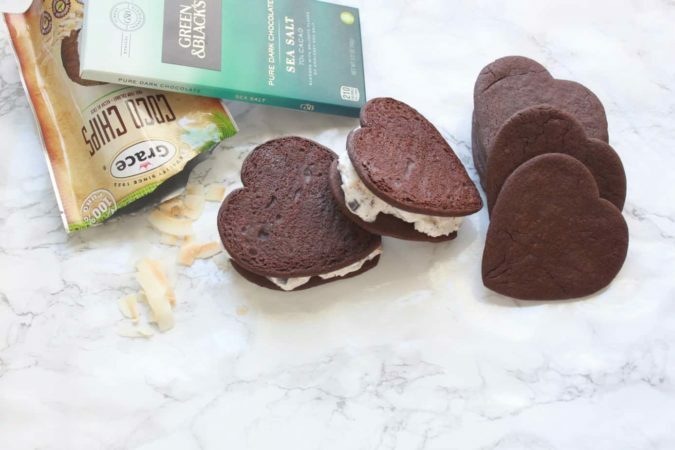 The dark chocolate and coconut chips were my answer! Yes, just in time Degustabox! I wanted my cookies to be soft and be made with chocolate and cocoa powder. I am so happy with how these came out!! My kitchen smells amazing with chocolate cookies in the air…so much that I am trying to hold my four-year-old off my the cookies, as they are straight from the oven. Gather all the ingredients and equipment. Preheat oven to 375°F. In the bowl of stand mixer with the paddle attachment, cream the butter, granulated sugar, brown sugar and salt. Add in eggs and vanilla to the creamed mixture. Scrape bowl. Blend until smooth. Add the flour, baking soda, and cocoa powder to the creamed mixture; mix only until blended. Scrape bowl and blend together. Add in melted chocolate and mix until combined. On a floured surface, roll out the dough till 1/4 inch thick. 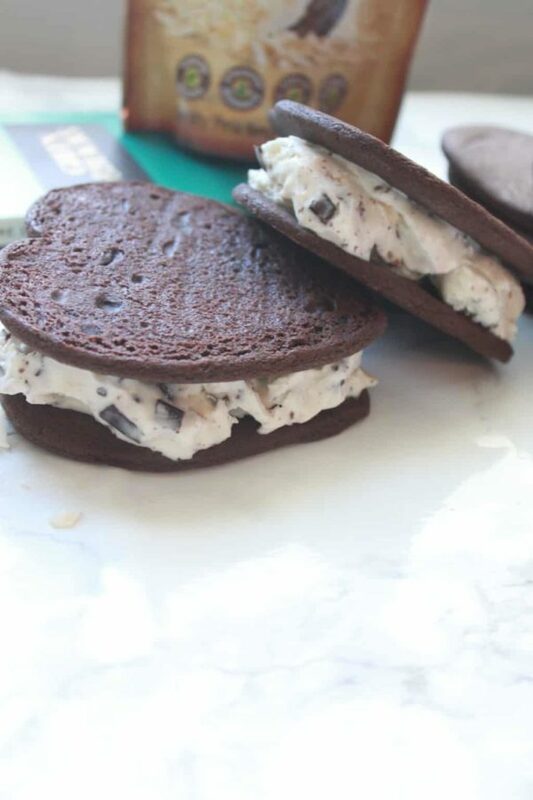 Use your favorite shape to cut the dough; something easy to hold for an ice cream sandwich. Place on parchment lined cookie sheet. Chill your stand mixer's bowl, paddle attachment, and container for storing the ice cream for at least 30 minutes in the freezer. Mix the ice cream together. Add the ingredients to the ice cream and mix well. Place into chilled container and place directly into the freezer uncovered for 20 minutes. After 20 minutes, be sure to cover the ice cream. Place 1/4 cup of the ice cream in between two warm cookies and enjoy! Oh my gosh thank you for sharing this recipe! I love anything dark chocolate!